One of the things our customers in the showroom always comment on are the large doors in the back behind the counter. Sorry, those are ours and they will be used in store. 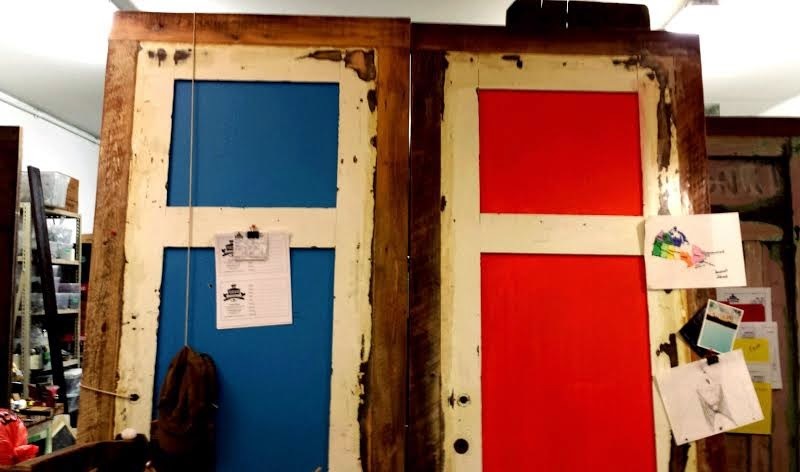 We get a lot of other questions about reclaimed wood furniture made from doors. Generally people love the idea of using an old door as a headboard and we are behind that idea 100%. But, it takes a lot of work to make it ready for the bedroom. Some people also like the idea of using a door as a table top. I regularly speak to people in store who want to embark on such a project and they ask us why we don't just use doors as table tops. The answer: its not as easy is it would seem. You will find several stories and videos on the internet with ideas and seemingly simple instructions for turning doors into tables. However, they all have a couple of things in common. There is either a glass top or the door that is being used is totally flat, basically the kind of door you find in new construction homes or condos. Old reclaimed doors often have features which make them uneven hence the glass. Also, attaching legs to an old door to make it a table is a difficult proposition. 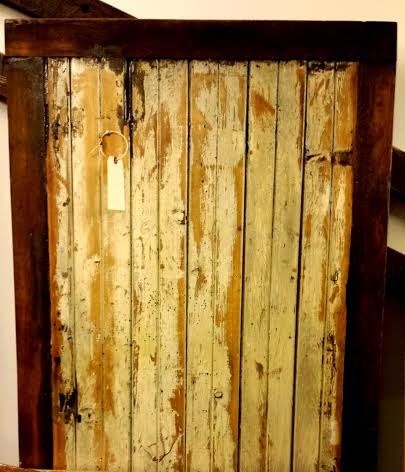 While the rustic furniture look of an old door is absolutely attractive and the idea to upcycle is one we support, we don't think a door as a table top is something that will function and last. 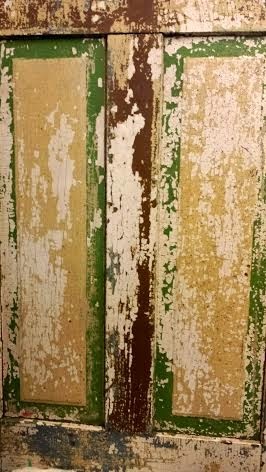 There is an issue with old doors that I, as a layperson to reclaiming old materials, had no idea about before I started at Forever Interiors. 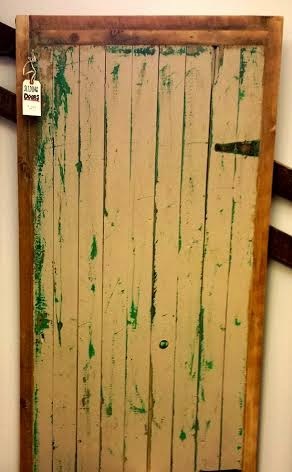 Old doors were often finished with lead paint. These doors just cannot go into homes and restaurants with that finish still on them. They need to be stripped safely and in well ventilated areas. As a result, we never work on doors in the winter as we must be outside.